Starting Wednesday, October 23 (-31), 2013 for a whole week, Tirana will be hosting the biggest cinematographic event of the year, the most distinguished Film Festival in Albania. 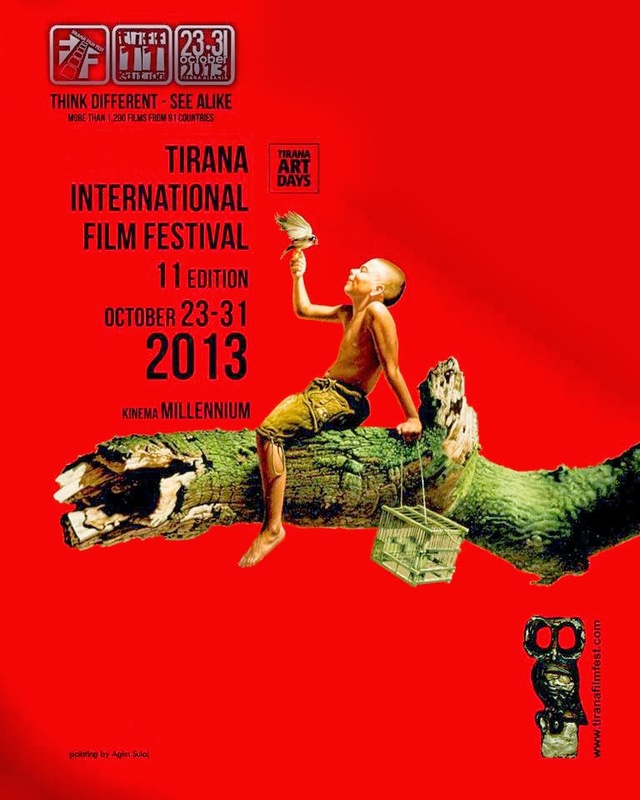 TIRANA INTERNATIONAL FILM FESTIVAL (TIFF) is the first and only international cinema festival of its kind in Albania. Created in 2003, this extraordinary cultural event takes place under the auspices of the Albanian National Center for Cinematography (QKK). In its 11 edition, more than 1200 films from 91 countries are competing. This year's competition features distinct sections. TIFF will be screening features and short films, including fiction, documentary, animation and experimental. Open to all filmmakers around the globe, TIFF will showcase new cinematic work by well-established filmmakers, as well as projects by emerging talents such as students and young artists. There is a real cinematographic dialog happening during TIFF days, not only on-screen but off-screen as well, with scheduled classes/seminars and of course plenty of public gatherings and open discussions. You can find more info about TIFF on their website and daily updates on their facebook page. Check out last year's edition here.